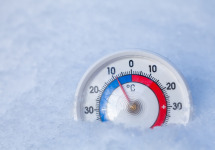 Cold winter weather presents special challenges to dehumidifiers – particularly when the temperatures in your vehicles or unheated storage areas begin to dip below freezing. If water is present in your dehumidifier’s drain tube or pump, there is a risk that the unit may be damaged when this water freezes. Now is also good time to replace air filters as needed, and consider cleaning and treating the housing and other plastic components with a good protectant. We recommend using an automotive-type interior cleaner. You can also use this opportunity to clean the dehumidifier coils – use a good quality alkaline (not acid) coil cleaner. These basic precautions will help preserve and protect your valuable Dri-Eaz dehumidifiers through the winter months and for years to come.